Hi everyone! Is it safe to say that I get inspired from the colors of my nail polishes, seriously, I do! Hopeful someone out there can agree?! 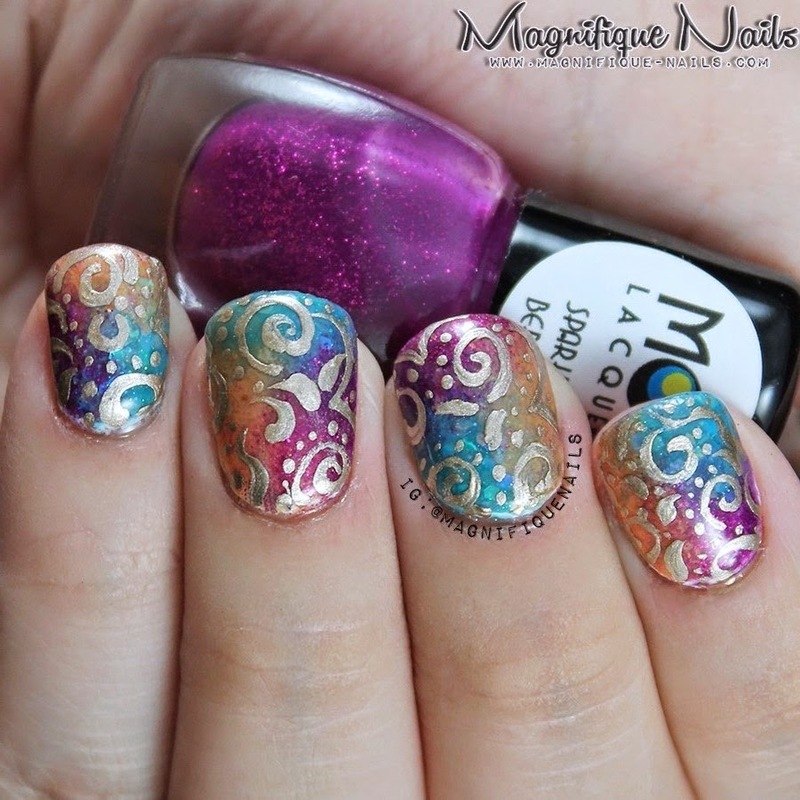 When I purchased Mod Lacquers Daydream Collection, I fell for the colors. It reminded me of beautiful Bollywood colors. I really didn't know what design to do. For the base, I applied two coats of Essie's Blanc. I like to apply white as the base, so the colors can "pop" a little more. Especially with colors as bright as these. Once the polish dries, with a makeup sponge, or any sponge will do, I applied Mod Lacquers Sparkle Berry, Dragon Wing and Solar Sail. I continued to dab the sponge once the base was no longer visible. 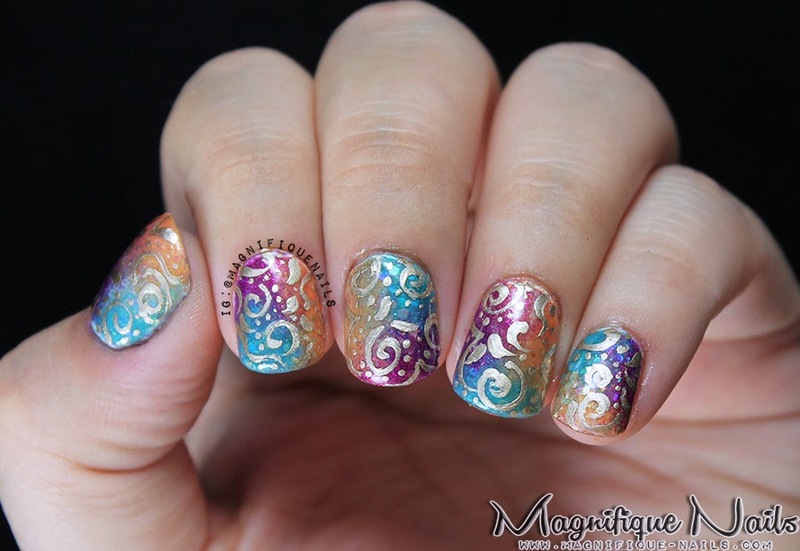 Even though the colors look beautiful all by itself, I still wanted to add the swirls. 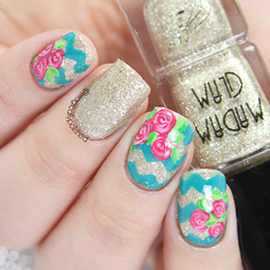 I used Essie's Good As Gold, using a nail art brush. Lastly, I then sealed the design with Duri- Super Fast Dry Through Top Coat, that's it! 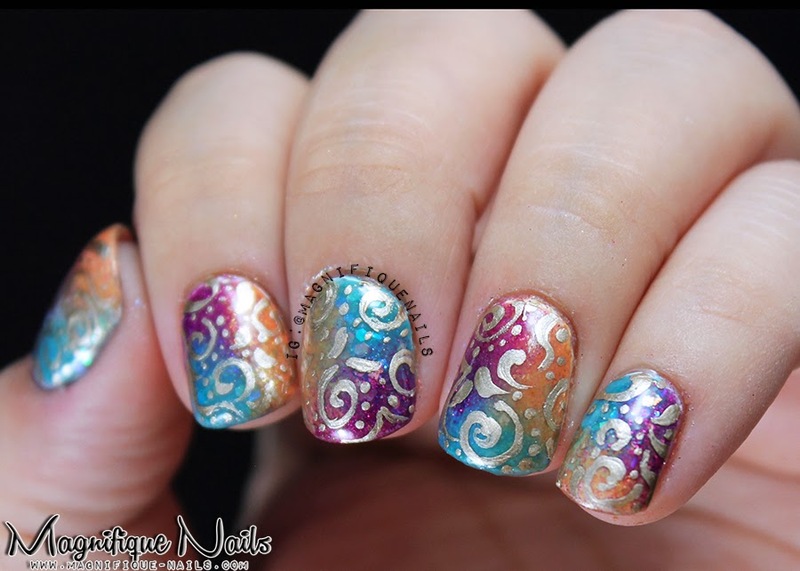 I absolutely love the hints of shimmers and glitters on the polishes. 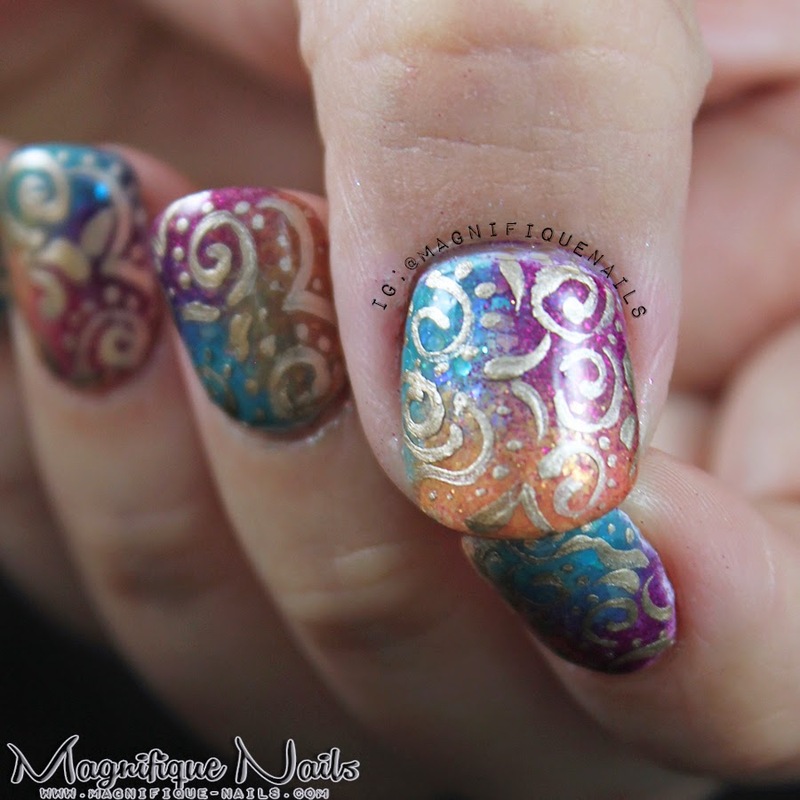 Even with the golden swirls makes the shades look more exotic. I just couldn't stop looking at my nails. I'm actually tempted to recreate this design again.